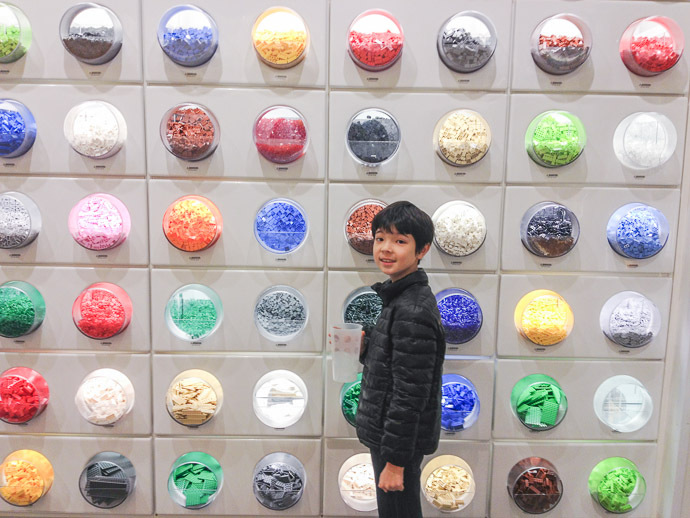 During our recent trip to The States to visit my folks, 10-year-old Anthony and I stopped by a LEGO store that had a “Pick-a-Brick” wall. It was a fun challenge, perhaps more fun for me than for Anthony. 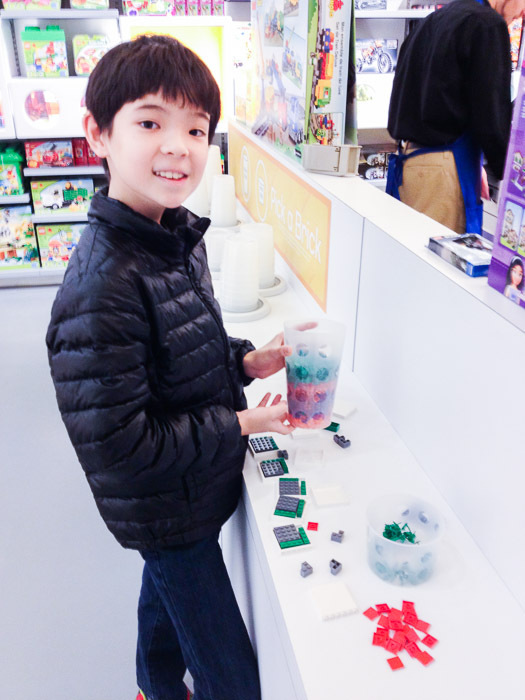 When we got home to Japan, he opened up his two buckets and we counted how much of each piece he ended up with, and then tallied what it would have cost at the LEGO online store, where he's placed orders before. As big a haul as it was, it didn't do much to dampen his hunger for everything LEGO. 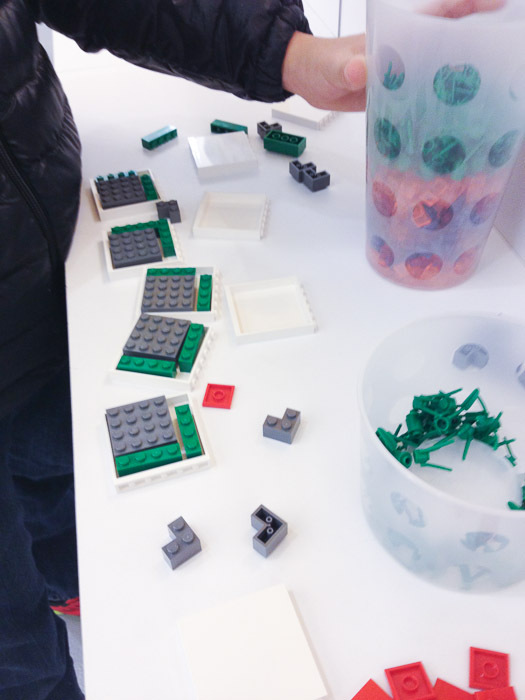 He's already placed (and received) an order from the Swedish Warehouse19 on a bunch of special parts, along the lines of what he did last year (as chronicled in “Anthony’s LEGO Battle at an Abandoned Castle”). 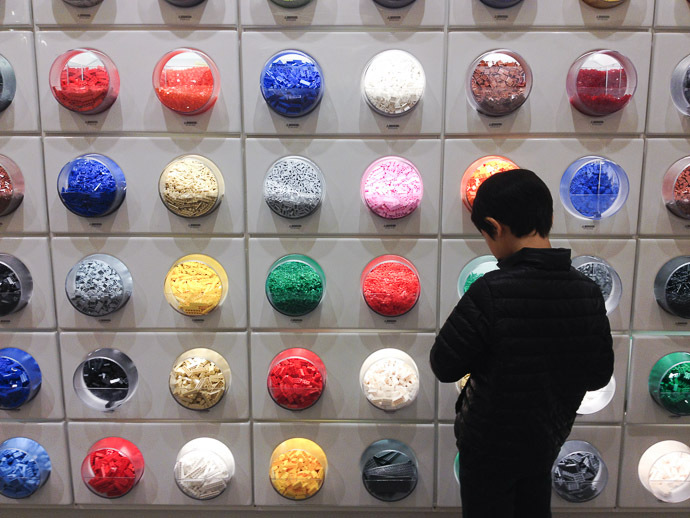 As you mentioned, other than the price, me and my son love Legos. Have you introduced Anthony to the digital designer? I’m trying to teach my son that computers are not just for this low-fi, hipster video game Minecraft but other cool things as well. 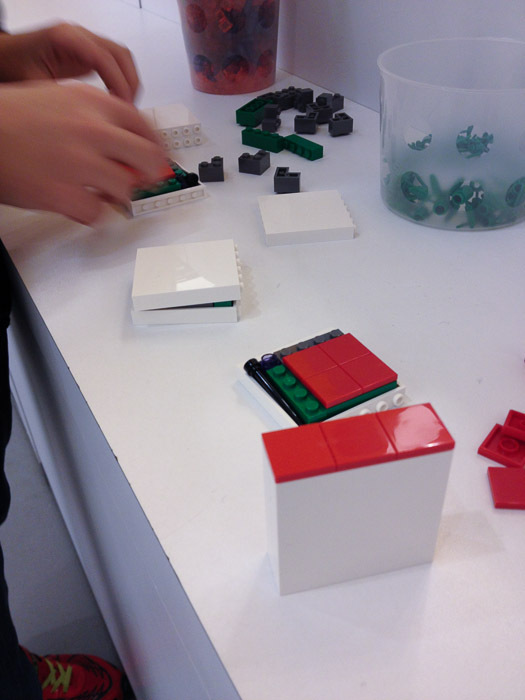 I’ll find cool images for him using Google Image search and then have him build the item in the Lego Digital Designer. Thank you for including that Warehouse 19 link, that site has this really cool lego-black market vibe. I’ll enjoy perusing that! 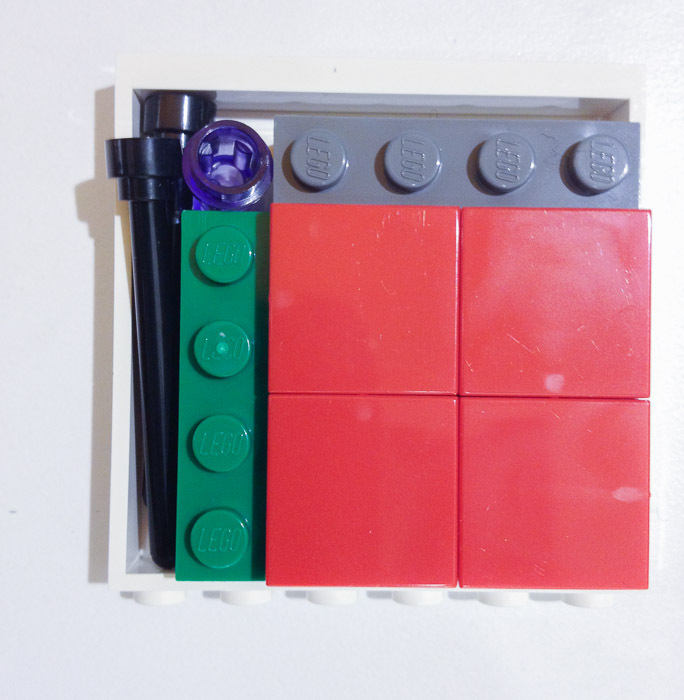 Have you introduced Anthony to Lego hacks (I think they call it SNOT – for Studs Not On Top: http://swooshable.com/snot/) -my son loves these ‘forbidden techniques’. Great post – brings back memories for me. My family lived in Chagrin Falls from 2008 to 2010. 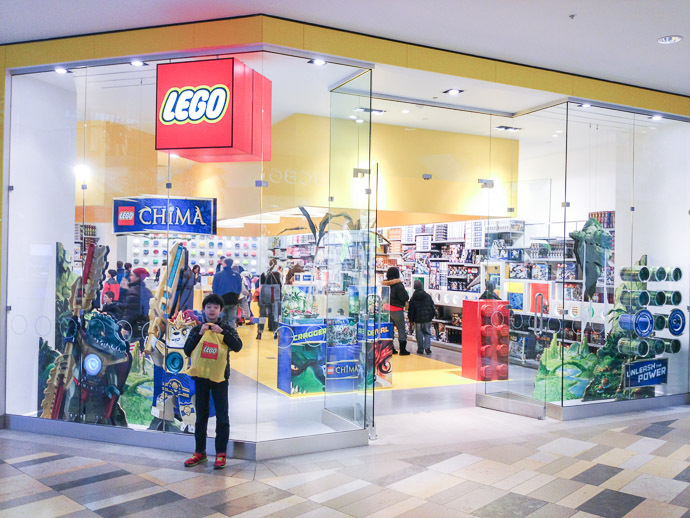 We were at the Beachwood Mall several times, but I do not believe the Lego store was there at that time. 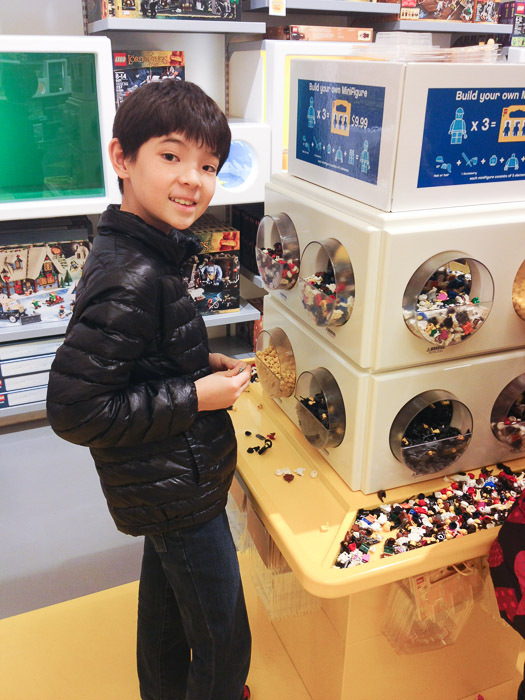 Too bad since my son Zach who is now 8 spent a lot of time with Lego’s during those years. 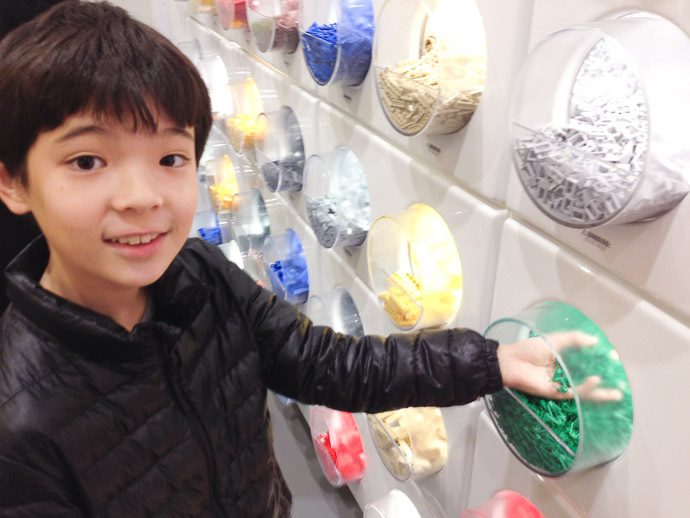 Like Ron’s son, Zach now spends time (too much) playing Minecraft and not as much with Lego’s. 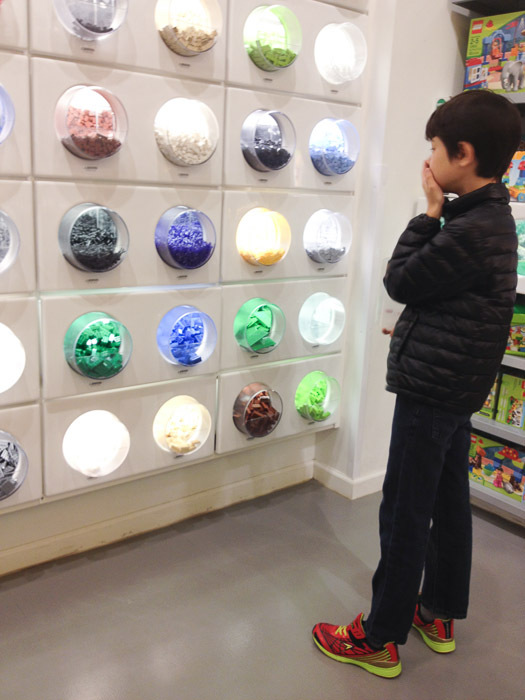 We will surely visit the Lego store the next time we go back to visit family in the Cleveland area. I sure hope you had a chance to get a nice hot plate of Skyline Chili during your trip back home!